Justice For Kennedy: William Manchester Materials Moving to Wesleyan Univ. 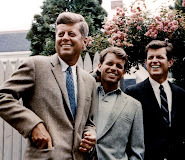 Kennedy family retains control. William Manchester Materials Moving to Wesleyan Univ. Kennedy family retains control. I still don't know why or how the material is leaving the JFK library. Why now? 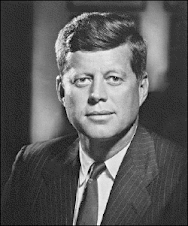 In the 1990’s in the wake of Oliver Stone’s movie “JFK,” congress passed a law that ordered the release of JFK assassination records and created an independent agency with the executive branch of the federal government to oversee that process known as the President John F. Kennedy Assassination Records Review Board (ARRB). At the urging of many in the JFK assassination research community the ARRB sought the release of the Manchester materials. “Most of William Manchester’s work papers relating to his work on The Death of a President are stored under a 1967 Deposit Agreement. Beginning in early 1995, the Review Board made repeated attempts to gain access to Manchester’s papers at the JFK Library. In June 1998, Manchester agreed to allow a Review Board staff member to review his material at the Library. This review revealed that , while much of the information Manchester obtained from the interviews is incorporated into his book, his raw notes would be of great value and interest to researchers. “Although Manchester recorded some of his interviews on tape, the recordings were not available at the library. Only the written notes and/or transcripts of his interviews are in this collection. Furthermore, not all of the interviews that manchester referenced in The Death of a President are accounted for in the notebooks and transcripts he deposited in the JFK Library. Because of their unique historical value, the Review Board regards these interviews as highly relevant to the assassination. This outstanding collection of materials should be made available to the public as soon as possible. At this point, however, Manchester has refused to cooperate and it is unfortunately impossible to open the records without his consent. 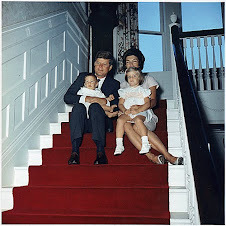 “The tapes and transcripts of William Manchester’s interviews of Robert F. Kennedy and Jacqueline B. Kennedy are subject to a 1967 legal agreement which states that they were not to be made public for 100 years “except...on the express written consent of plaintiff [Jacqueline B. Kennedy].” With Mrs. Onasis’s death, her daughter Caroline Kennedy became her representative and is the only person with authority to give consent to open this material. “The Review Board recognizes that the interviews have extraordinary historical value and so it pursued this mater with the JFK Library and with William Manchester. After evaluating whether the court order could be lifted, the Review Board decided to approach Caroline Kennedy to discuss the possibility of having the tapes and transcripts opened at the JFK Library. Caroline Kennedy wrote to the Review Board in late August 1998, informing the Board of her decision not to release the material at this time, nor would she agree to allow one of the Review Board members to review the material to determine whether the tapes contained assassination -related material. 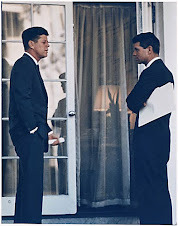 Now there are many problems with keeping this 100 year secrecy pledge to loved and lost Kennedys. One is obvious, what medium was used to make the audio recordings? Technology has moved forward leaving behind older methods of recording sound. Is there still a working machine that can play the recordings? Were they recorded on some type of magnetic tape? These things deteriorate over time. Degradation of the material and obsolescence of machines may have made the secrecy issue moot. While in the safe hands of the Kennedys in the JFK Library has anyone been allowed to listen to the tapes? Or to make a transcript? Has anyone been allowed to migrate the recordings onto newer formats of sound recordings, like CD’s or even better quality audiotape? Has any archivist been allowed to do the job of archiving and helped to catalogue and preserve the material? If not, by 2067 it may be far too late to hear anything. That would only add even more tragedy to the assassination of JFK.